Speaking to private broadcaster A Haber following his visit to Europe, Çavuşoğlu answered questions on Turkey’s foreign policy. 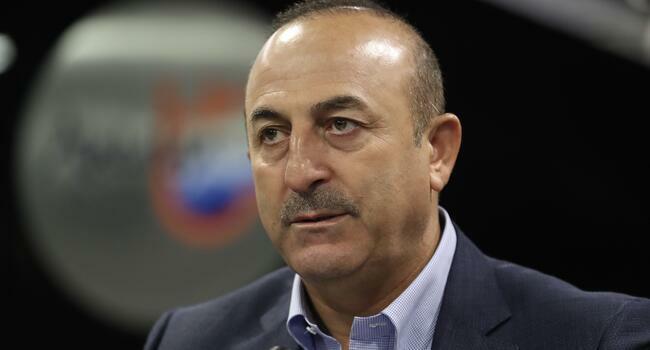 When talking about the recent plunge of the Turkish Lira, Çavuşoğlu argued that the crisis stems from an organized campaign, which he alleged to have been masterminded abroad. “When it is time, we will announce [the details]. See how the credit rating agencies decrease their ratings?” the foreign minister asked, referring to Moody’s recent decision that slashed forecasts for Turkey’s economic growth, citing deepening market pressure and growing risks. “They began working on how they could demolish Turkey through its economy after the July 15 coup attempt failed. We have managed to repel these attacks with minimum damage by taking precautions,” Çavuşoğlu said. “Some countries are in this scheme, as well as financial institutions and the interest rate lobby. These include some Muslim countries, too. I will not name names here, I am only drawing the framework,” he added. Among the Muslim majority countries, Turkey currently has the thorniest relations with Syria and Egypt, as well as oil-rich Saudi Arabia and the United Arab Emirates.